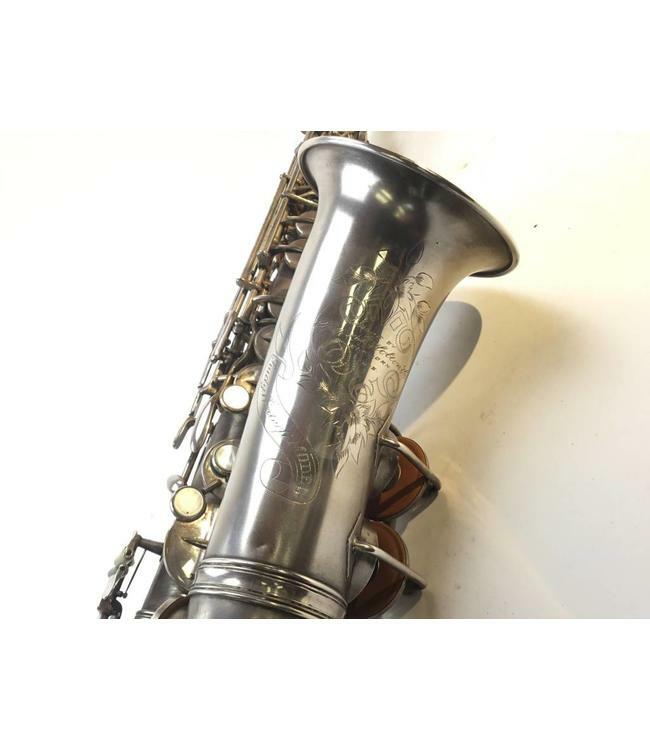 Used Vintage Holton Rudy Wiedoeft model alto saxophone. Silver body with soldered tone hole chimneys. Double Low C key with alternate High D trill key and G# key. Telescoping tuner neck. Pads and corks in good condition. Plays really well. Comes with original case.